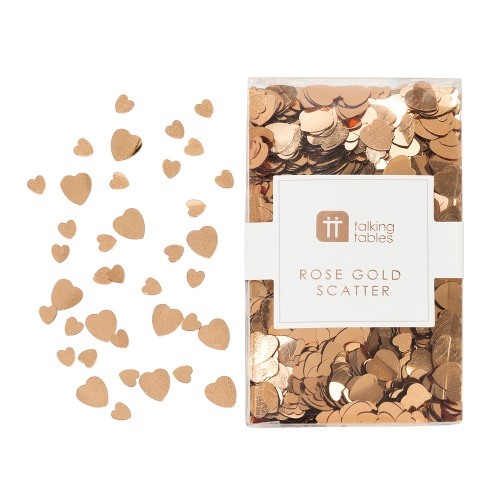 This beautiful heart shaped rose gold scatter adds a romantic touch to any occasion. The confetti heart shaped table scatter can be spread over place settings or around the party tables. A lovely retirement and Valentine's Day addition.